A new report suggests that even if Donald Trump actively challenges the recreational-marijuana industry, the marijuana industry will hit $18 billion by 2021. If he doesn’t, the industry could reach $30 billion if every state and the District of Columbia has either a medical-only-market or a fully legal market. Greenwave Advisors analyst Matt Karnes notes in his new report that in 2016, retail sales of marijuana in the United States were approximately $6.5 billion, which was an increase of 35 percent over the $4.8 billion in sales in 2015. Karnes told Forbes magazine that he expects California to account for 40 percent of the market and that additional states will continue to come online. “In 2017 we expect growth of 18 percent to $7.7 billion as new medical-use markets come online,” Karnes said. According to Forbes, these numbers are leading to an increase in capital investments in the marijuana sector. From 2012 to 2016, the size of the average deal jumped from $500,000 to $2.2 million. In addition, $1 billion has flowed into the industry since 2012, and 38 percent of those investing dollars have come from venture capital and angel investors. Because marijuana is still federally illegal, major banks have avoided servicing customers in the industry; the compliance requirements for servicing them keeps the profit margins low. Karnes believes that will change if Trump follows through with his intent to deregulate banking and loosen the restrictions of the 2002 Sarbanes-Oxley Act. “This event could free up banking resources to focus on cannabis businesses,” Karnes told Forbes. Karnes also notes a “marijuana market metamorphosis” in his report, in which states are realizing that having separate regulatory efforts for their medical and recreational markets is redundant. Many companies have products that fall on both sides of the market. 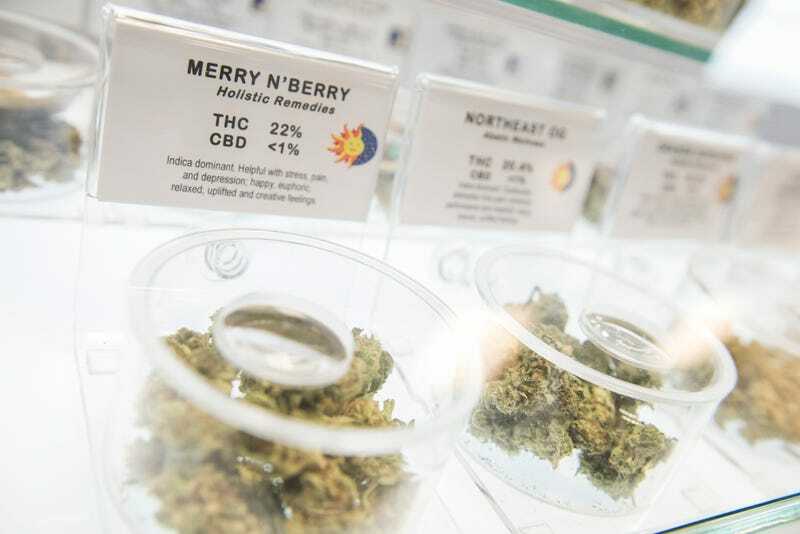 The report notes that if California were to become the first state to combine its oversight of both markets without first regulating medical marijuana, it could be the catalyst for other states to follow suit. The biggest and most obvious takeaway from the report is that as legalization increases, the black market for marijuana will fall apart. “Based on wholesale pricing data from Cannabis Benchmarks, we estimate that currently, the illicit market in the U.S. is approximately $36 billion, which we determine based upon a multiplier of reported marijuana confiscations by the U.S. border patrol and quantities of plant eradication initiated by the DEA,” the report says.